Pressure in oil cars would be measured at loading/unloading sites. 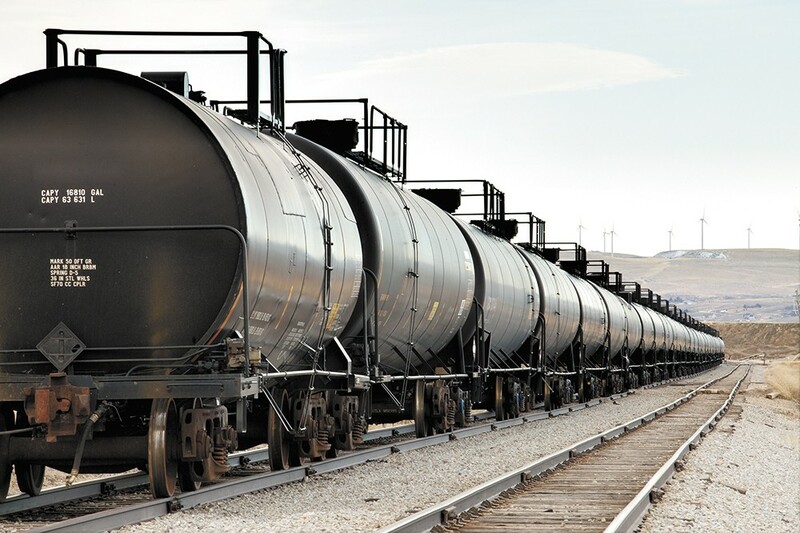 In what could be considered an end-run around federal rules governing rail safety, Washington could require that crude oil stored in or unloaded from rail cars in the state be at a vapor pressure less than 9 pounds per square inch. Effectively, that means Senate Bill 5579, passed by the Senate 27-20 on Monday, would regulate the pressure of Bakken region crude oil transported on trains, many of which enter the state through Spokane and spread across the region every day. Proponents say the bill was drafted because federal regulators have stalled on drafting national limits on vapor pressure. Because federal rules generally supercede states' abilities to regulate railroads, the state would instead regulate the pressure at facilities that offload the crude, such as refineries. The bill doesn't require rail cars be checked for pressure when entering the state or traveling, and would implement a fee of up to $2,500 per day, per rail car, for violations at the loading/unloading sites. "This bill [is] about safety — the safety for the workers who unload Bakken crude oil at their endpoint in Washington state, and for the safety for everyone along the route by which it travels from North Dakota. These large shipments of extremely flammable fuel run through the heart of our state, starting with my community in Spokane," announced Sen. Andy Billig (D-Spokane), prime sponsor of the legislation. "People and their safety must come first. Experts know that highly flammable Bakken oil poses greater risk and it's time to take meaningful action to reduce the threat of a serious catastrophe." North Dakota currently requires Bakken crude be shipped at no more than 13.7 psi, but trains with oil at a lower pressure have still derailed and sparked an explosion. The 2016 oil train derailment and fire in Mosier, Oregon, involved crude oil at 9.2 psi, the Oregonian reported at the time. The original print version of this article was headlined "Contents Under Pressure"